I’m curious to know – what did you trade for this white whale of beers? I actually ended up working out 2 trades. 1 was DFH positive contact for 1 Pliny (still waiting to receive that bottle), the other was Positive Contact + The record for Pliny + Arctic Panzer Wolf + Extras. Yeesh, that’s not messing around. I definitely like your payoff. I haven’t even seen Positive Contact at my shop yet, although I did have it in January at the DFH brewpup. Was good/unique. I got a store to call me as soon as it came in but they would only sell the 6 pack + the record. Positive Contact is good, but not so good that I wan 6 750 ml bottles. 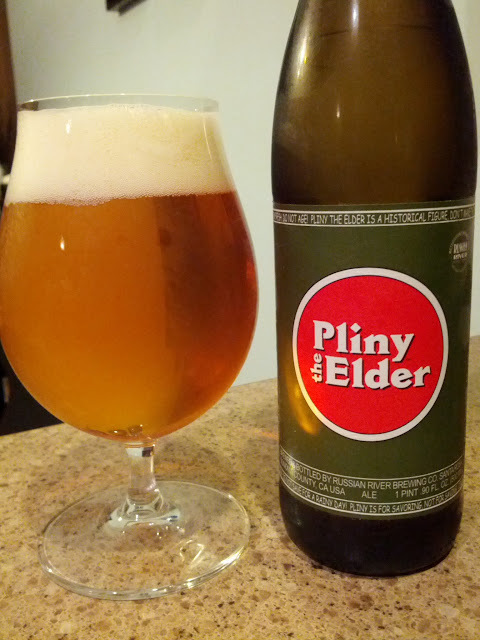 Pliny is definitely one of my favorite beers. Even in Philly, it’s very hard to find. They only ship kegs to philly,and those kegs all go to the beer bars (can’t buy a keg from distributors). Usually the kegs only last 2 days at whatever bar it appears b/c people drink this stuff down might quick. What you can get in philly in a bottle is Supplication, another great beer from Russian River. It’s a sour beer, aged for one year in a white wine barrels. Talk about complex…insanely good.